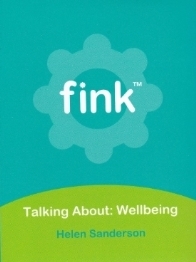 We have developed a new range of fink question cards based around wellbeing. By promoting honest, fun and positive communication, fink cards help boost confidence, motivation and communication within families and teams. Wellbeing is feeling good and functioning well. Increasing your wellbeing has been shown to increase life expectancy between 4 and 10 years and to improve recovery from illness. You are invited to use these cards to help you to start, share and continue conversations around wellbeing with your family, friends, people you work with and who you care for.